Fully HSE Approved - HSE Licence No: 8309. Suitable for organic farming systems this kind and gentle red mite powder is designed to be applied directly to all birds and poultry as a deterrent to infestation or to rectify an existing problem. Its slow release formulation will last for up to six weeks depending on weather conditions. 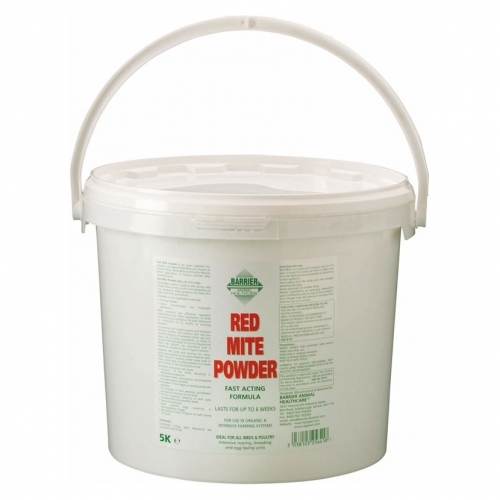 Smite Red Mite & Louse Powder. 5kg Bucket. 5 Litre Nutrimin Apple Cider Vinegar.